We are going to help you raise 300-plus bushels of corn per acre or at least raise your APH (actual production history) far above current levels. Are you laughing? Well, if you are, we believe that you will stop laughing when you start reading about this, the most achievable goal in agriculture. 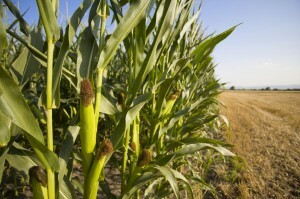 Consider that every bag of seed corn planted has the genetic potential to produce 600 bushels of grain or more per acre. That being said, you should be able to consistently achieve at least half of those potentials, shouldn’t you? It begins with a plan for a whole new level of profitability. To work your way toward goals that high, it starts with believing you can do it. We’re not talking about an act of simple faith, however. We’re talking about believing in those goals enough to change how you think. You can’t think like a 150 bushel-per-acre corn producer if you want to produce yields twice that high. Instead, you have to think like a 300 bushel- per-acre corn producer—it all starts with believing it can be done. Get ready to change your thinking! 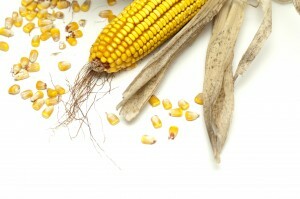 How many years have you been stuck at 5 – 10 bushel annual increases in corn yields? Is that bad? No. But it’s a long way from our goal. If it has taken you 15 years to raise your average corn yields by 50 bushels per acre, don’t expect them to jump another 50 bushels per acre more in just one or two years without making serious changes. We can help you make progress a lot faster than you ever imagined, and reach higher yields than ever before. In order to do so, you will need to follow the yield building guidelines of the Maximum Profit System. If we were to guess, most of the changes you’ve been making to increase yields have occurred above the ground. You have consistently adjusted plant populations, planting depths, row spacings, fertility programs and you’ve even purchased new planters in an attempt to achieve better stands. Perfect stands with ideal distribution will always means higher yields, right? Well, not always. There are so many other factors that contribute to top yields—factors that cannot be controlled with a few above-ground adjustments. We will help you with those increments of yield that no one ever tells you about. Managing these aspects, along with the other 1000 variables, will dramatically increase your chances of getting significantly higher yields. In these days of high market prices, growers will be presented with opportunities they have never seen before. The farmers who think differently and raise significantly higher yields will earn multiple incomes in one year. They will be able to pay off debt, and many will be able to retire years ahead of schedule. It starts with a company that delivers what farmers need the most — value instead of just a cheap product. Finally, a company that recognizes that this value can come in the form of information—the kind farmers have needed for a long time. Right now you probably have no idea how important the right kind of information is to breaking yield barriers. That’s either because no one else has this kind of information, or they are not willing to share it with you if they do have it. But we have the information and we will share it with you and show you how to use it to compliment your current management system. Much of it will be new things you have never seen or heard before. But all of it will give you a much better understanding of how to produce a top crop. As a result, it will give you much more control and it will help you project future outcomes a lot more easily. Has Nothing To Do With The Variety You Plant! Let’s start by introducing you to the top five most important factors to producing a top crop. Most everyone considers the variety to be the number one component in getting high yields. However, there are five other aspects that are actually more important than the variety itself. Without these five elements in place first, no variety, regardless of how good it is, can perform to its potential. When was the last time you heard a seed company say that? If the soil conditions are too wet or too dry, too loose or too lumpy, too hot or too cold or in any way less than perfect, it can detract from the seed’s ability to emerge at optimum speed and with optimum health. The first step to getting a top crop is making sure soil conditions are as ideal as possible at planting time. Planting depth is the number one question we get other than plant populations. 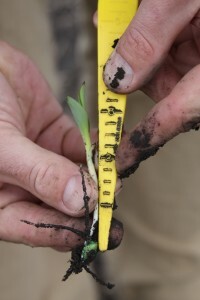 How deep should corn be planted, and does it vary yearly? The answer is always a resounding two inches, and no. It does not vary from year to year. Regardless of moisture conditions, seeds should never be planted any shallower than these recommendations. We will explore aspects of seed quality that you have never thought of before—aspects that can make a 20–50 bushel-per-acre-difference in the final yield. The industry is not anxious for you to know these ideas or how to identify the various aspects that affect quality prior to purchasing a product, but we feel you need to know everything you can if you are going to achieve your yield goals. When you are armed with this kind of knowledge, you will be well on your way to making more profit than you ever dreamed of. Just remember that quality is not just germination — it includes the “purity” of the variety. Varieties that are not pure can cost 30-50 bushels per acre alone. AgVenture is not only the largest network of independently owned seed companies in the United States, it is also the leader in variety-specific selection for individual farms. AgVenture’s unique business structure allows each individual regional seed company to work directly with genetic suppliers to select germplasms specifically for their own areas. This is one of the secrets to success achieving top yields. Since the company’s birth, it has grown into one of the largest independent seed companies in the United States because of the excellent job its regional companies have done with product selection for each of their local areas. It’s not just about picking the right genetics. Instead, it’s about matching the right germplasms to the right fields—and there is a big difference. Most seed companies choose elite germplasms, then sell them randomly to every grower they can. In turn, that grower plants them randomly throughout his farm. That is a recipe for mediocrity at best. AgVenture produces more hybrids than any other seed company in the business because the company works hard to match every soil type. This provides a yield advantage over other companies in the field. Since AgVenture knows varietal parentage so well, it can match the traits of those parents to what a particular soil can offer and come up with a great match. 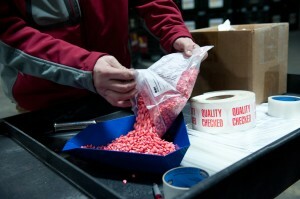 This also means that the company makes most of the variety decisions for its customers, and the customers love it. So many things still need to be managed after a crop is planted. Unfortunately, too many growers simply walk away thinking that their pre-plant chemical and fertility program is good enough to pull out top yields. Well, it never is. In fact, it’s after planting that the real management of the product begins. You will learn more about raising exceptionally high yields in Area 5 than in all of the other steps put together. We hope you are ready to make some real changes.